Situated in the midst of peaceful farm land, between Caledon and Greyton, Eikebos offers a picturesque and tranquil camping experience. Its seven stands, all shaded by majestic oak trees and circled by open views of rolling farmland and the Kleinswartberg, is a far cry from your average municipal facility. Eikebos Camp Site is suitable for family caravans, motorhomes, bush trailers and tents. Each grassy stand is equipped with its own power point and braai facility . The shared ablution is attractive with its stone walls. It consists of two hot showers and two flush toilets. For added comfort a neat washing up area is provided. 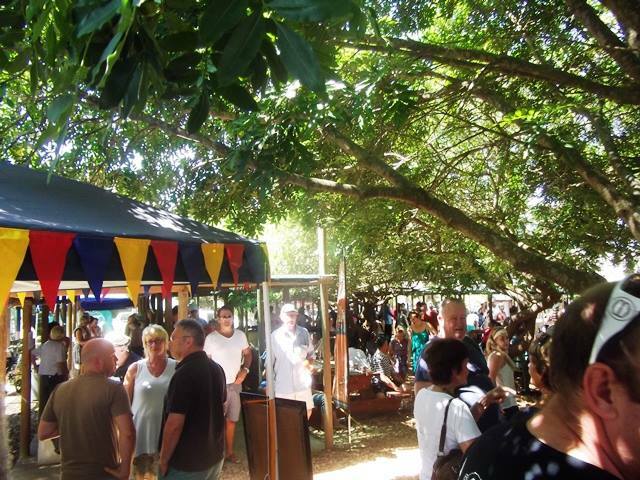 The camp site comprises of a covered lapa area equipped with a fully licensed cash bar. The lapa is especially useful when the weather is not conducive to outdoor activities. The venue is ideally suited for group functions of 40-60 people. 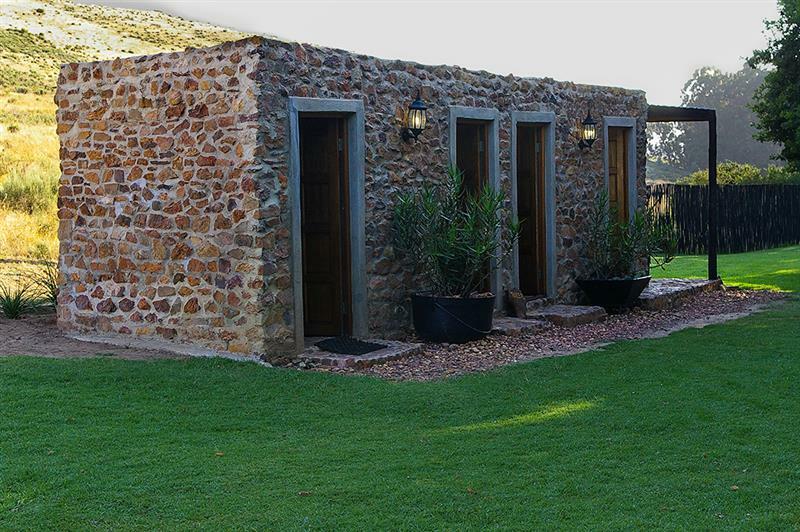 The entire campsite may be booked with use of the lapa and indoor braai area for your event. The venue is perfect for birthday celebrations, anniversaries, team building, conferences, general events and even intimate weddings. Your host, Riette, offers a catering service. Various options are available with potjies, spitbraais or tailormade meals or menus on offer. A bedouin tent is also available should you need to make use of it for a larger event. Chat to Riette about the options. Greyton is situated a mere 20km from Eikebos. The Saturday morning market is an experience not be missed. Stock up on novel provisions (that is, other than what you would find at your local Supermarket), such as freshly baked farm bread, pestos and all manner of other home-made gourmet delicacies – who said camping has to be all toil and suffering? While in Greyton, make use of the opportunity to visit one of the many restaurants and coffee shops. Back under the trees at Eikebos you can fill the balance of your weekend with long walks on the farm, a number of biking routes both on the farm and in the surrounding areas (bring mountain bike), braaing in front of your tent and swimming in the sparkling pool. Eikebos Campsite is your break away from the rushed city life, whilst camping in comfort!